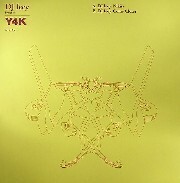 Icey's UK breakbeat came about when Pete Tong signed him to FFRR in 1997. DJ Icey has released countless high quality productions and was the man responsible for getting the Chemical Brothers to do their first Stateside show. This EP features 2 exclusive tracks from Icey himself.